Apple sold a total of “nine million” of its iPhone 5S and iPhone 5C models in just three days after the launch of the new iPhone models on September 20. In addition, over 200 million iOS devices are now running on the newly redesigned iOS 7, making it the fastest software upgrade in history of Apple. The demand for the iPhone 5S has exceeded the initial supply of devices due to which many online orders are now scheduled to be shipped in the coming weeks. 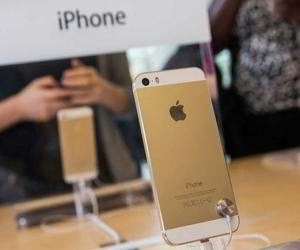 Apple have not explained the proportion of iPhone 5S and iPhone5C in the sold Nine million handsets but last weekend mobile operators in the UK were short of the supplies of the premium iPhone 5S, while the iPhone 5C was widely available. So, it can be deduced easily hat iPhone 5S would have managed to capture a good percentage in these number of sold devices (various unofficial sources report a sales ratio of 3.5 to 1 in the favor of iPhone 5S with respect to iPhone 5C). If we compare the previous sales of iPhones, the iPhone 4S managed 4 million units sale in the first three days, while the iPhone 5 took a slight lead by selling 5 million devices in the same time span, 9 million units for the new iPhones is therefore a nice sales benchmark. When it comes to the previous versions of iOS, 100 million iOS devices were updated to iOS 6 last year within three days but the latest iteration of iOS 7 has got a massive response from its users and it made twice the number of users to upgrade than previous year. The major factors that contributed to this utterly successful iPhone launch are nonetheless the presence of two new iPhones instead of usual one, wide range of colors and the simultaneous release of the smartphones in China.